I can’t think of a more comprehensive and inclusive healing environment in any city hotel than that of The Spa at Corinthia Hotel Lisbon especially since the hotel is known as an oasis for business guests as well as tourists. After a stressful day of meetings or an exhausting day sightseeing, The Spa, open to all hotel guests, is a place to be pampered and rejuvenated. And you do not need to be a guest to indulge yourself, all are welcomed, locals and visitors alike. The Spa is a generous 38,000 square feet of beautifully designed facility featuring 13 individual treatment rooms all with private shower, some with lounge areas, others with double sized bathtubs and/or private saunas for romantic sessions with a loved one, and all under the professional care of therapists and estheticians dedicated to providing an experience to remember long after one’s session has ended. The high-end world-renowned skincare products are by ESPA and are featured in the rooms and suites in the hotel as well. They are available for sale should you wish to continue the benefits of your treatments after you return home. Hot off the press: as of January 2018 there will be “Fitness for Kids” option from age 4 and up including facials, body treatments and manicure and pedicure services so the whole family can enjoy a day at The Spa together. 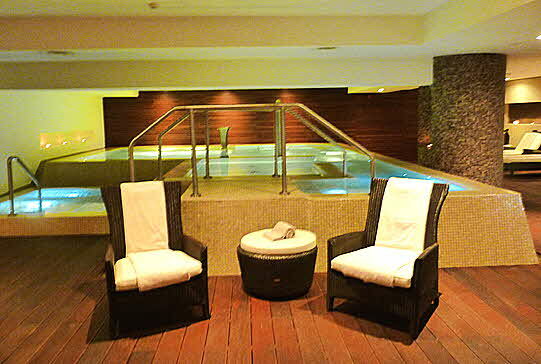 The Spa has lounge areas for after-treatment where you can relax with a complimentary cup of tea or a snack of fruit and nuts as well as waiting rooms for before-treatment; dressing rooms are spanking clean and have every amenity including a bathing suit dryer to avoid carrying a dripping suit back to your room. 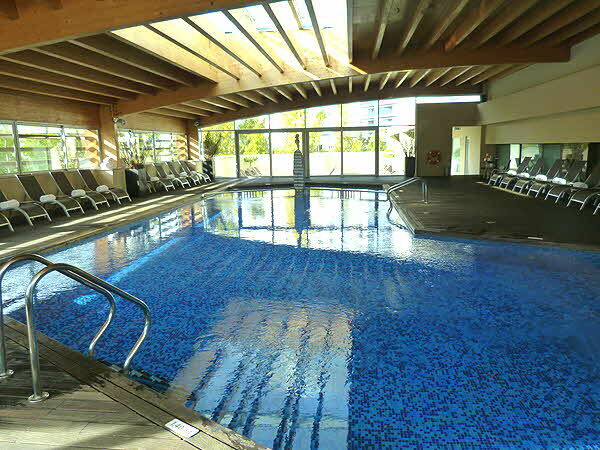 Speaking of bathing suits, there is an indoor/outdoor swimming pool with patio seating. During the summer or in nice weather the ceiling opens to expose Lisbon’s beautiful blue skies and sunny weather and an opportunity to soak up those rays. 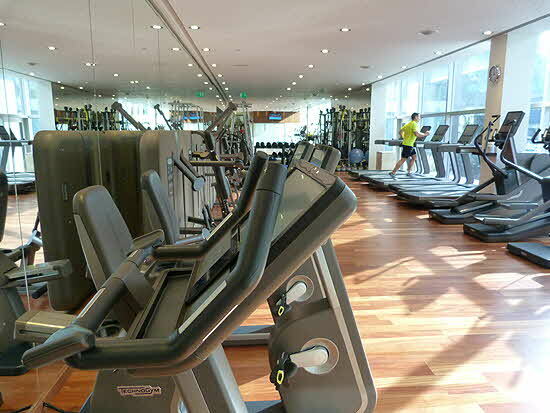 There is a fully equipped, state of the art, gym with ARTIS Technogym equipment with a personal trainer available 24/7 to insure you get a safe and beneficial workout. To me, the crowning glory of The Spa is the Aqua Therapy facility, a large space featuring a series of infinity pools with easy-access controls to activate individual water jets while your neighbor soaks in calm comfort. Entering the Aqua Therapy facility literally took my breath away; here truly are the waters of life known to the ancients that sooth or invigorate; heal sore muscles and energize tired brains. Along one wall there is an inviting cool water foot-feature covered by smooth river rocks to stimulate circulation from the bottom up and an ice fountain for those hearty souls that like fire (sauna or steam room) and ice after. For those really intrepid souls, there is an ice water bucket that with the pull of a cord drops freezing water on your head. 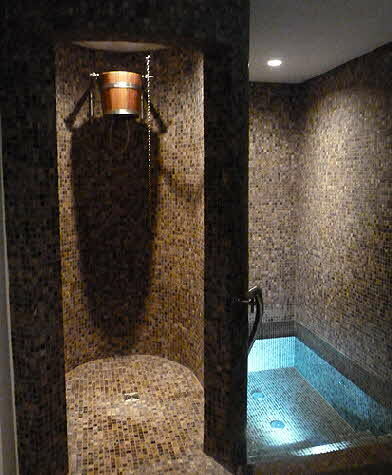 Or, much more appealing to me, in the largest pool there are spouts that pour warm water down from spigots by button activation to warm and massage neck and shoulders. The Spa at Corinthia Hotel Lisbon received “Portugal’s Best Hotel Spa” award at the World Spa Awards 2017 and was named “Best Luxury Urban Escape Spa” by World Luxury Spa Awards 2017. The lovely and highly professional Spa Director, Claudia Santos took me on a tour through this outstanding sanctuary dedicated to wellbeing and age defying rejuvenation. 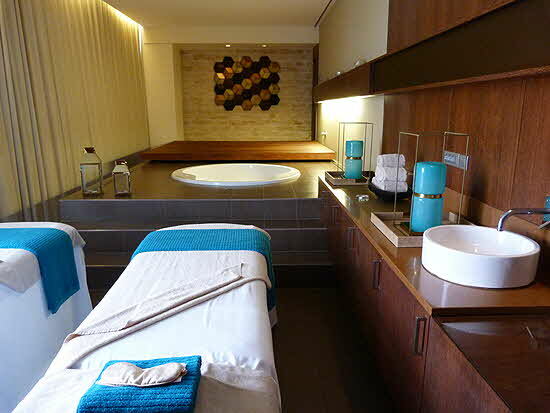 Claudia enthusiastically pointed out the latest technologies and sensory enhancement equipment in specifically designated rooms and described the treatments inspired by Portuguese culture and history, before leaving me in the oh so capable hands of Joana. 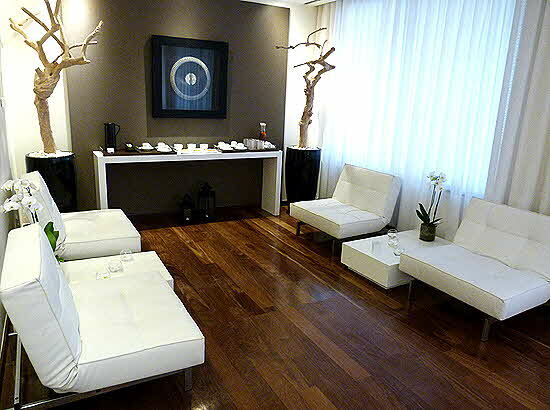 Joana lavished me with The Spa’s Signature Aromatherapy massage concentrating as I had requested, on my tired back and legs, sore from touring Lisbon and its environs. 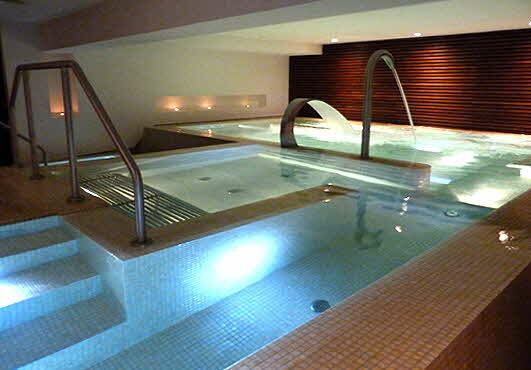 Afterwards I donned my swimming suit and headed to the Aqua Therapy suite for play time.